Save the date! 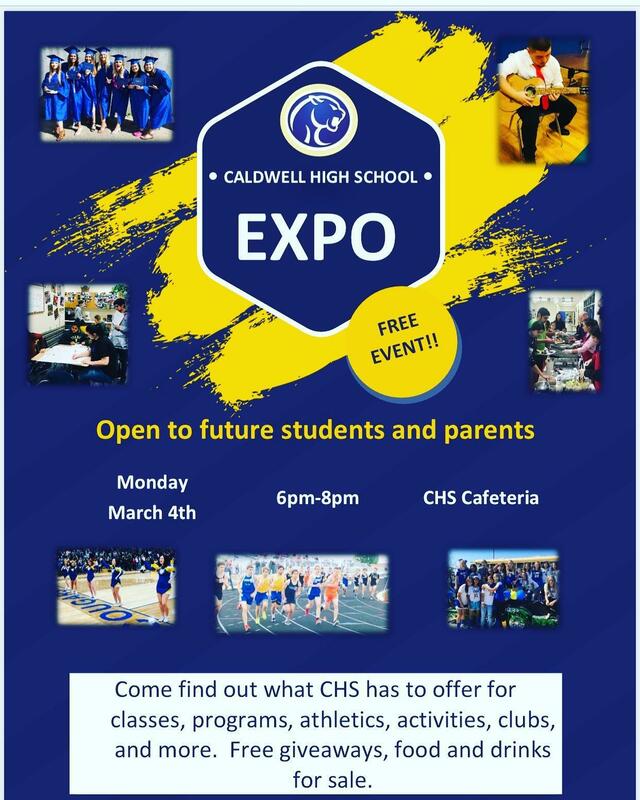 March 4th from 6pm-8pm CHS will host the Caldwell High School Expo. All students and parents are invited to see what CHS has to offer for classes, programs, clubs, athletics and activities. Free Give Aways, food and drinks available for purchase.